Overloaded! Busy! Hurried! Overworked! Stressed! Rushed! Relate?? This is reality for most in our culture today–EVEN homeschooling families! We exceed our limits. We take on WAY TOO MUCH! We write checks that our body and mind cannot cash! Everything (and EVERYONE) suffers. It gets harder and harder to hear God as He whispers direction, encouragement, and wisdom along our path. We miss the best! We wonder why we end our days empty and without meaning or accomplishment. We forget what is most important—or at minimum, put it off for another day. The important seldom screams for attention, but the urgent, often insignificant, constantly screams for MORE and more! We get so busy and distracted doing the urgent and demanding in life that we lose the opportunity to impact the important, that in which we are given to leave a legacy! So, how on earth do we get out of this rat race? How are we to restore balance? If we could restore balance, how could we maintain balance? How could we make life really count for something? In this workshop, Cindy shares what the Lord has taught her He pulled me back from so many GOOD things to restore balance and keep me on the path to leaving a legacy! 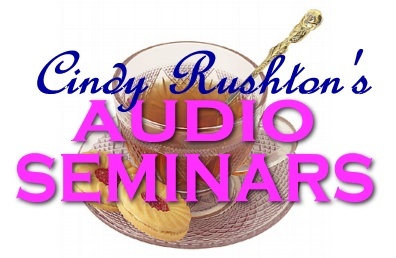 Join Cindy for a workshop that will change your life as it has changed hers!